He was born on April 15, 1898 in Roseland, New Jersey. Pete saw his first race in 1919, where he watched his uncle Ralph DePalma win as his riding mechanic. He drove in the 1922 Indianapolis 500 finishing 4th. DePaolo had his worst career injury at the Kansas City board track; his car rolled four times. He ended up spending three weeks in the hospital after losing two teeth and his face was severely cut up. His riding mechanic Cotton Henning spent several months in the hospital with broken ribs and one ankle. He pulled out to a huge lead in the 1925 Indianapolis 500. DePaolo's strategy in the race was to run the left side tires in the oil slick on the middle the track for two laps then runs his right side tires in the oil slick for two laps. His fingers became badly blistered around the midpoint of the race, and car owner Fred Duesenberg pulled DePaolo out of the car in favor of Norm Batten. DePaolo had his hands repaired in the infield care center, and returned in the car after missing 21 laps. He had dropped to fifth. He raced his way to the win on his way to the series drivers championship. The race was the first Indianapolis 500 to average over 100 miles per hour (101.270 mph). Pete did not consider this to be his greatest win (since he was replaced for 21 laps). 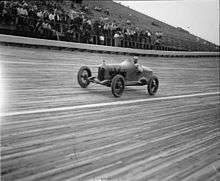 Pete becomes the first driver to average more than 100 mph at the Indianapolis 500, recording 101.13 in his Duesenberg, 1925. He began his only team in 1927. He finished second in the 1927 Indianapolis 500, and added two wins on his way to the series drivers championship. In 1934, DePaolo drove the Harry Miller four wheel drive race car in races throughout Europe and Africa. At the Avus course, near Berlin, while leading the race in a down pour, his engine threw 2 connecting rods which narrowly missed hitting Adolph Hitler in his track side box seat. He decided to retire after he was in a coma for 11 days after crashing in Spain in 1934. He sang Back Home Again In Indiana in 1971, as of 2014, he was the only driver to sing the song prior to the Indianapolis 500. He died on November 26, 1980 at age 82. 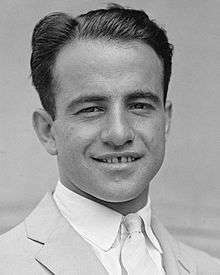 He was car owner and team manager for Kelly Petillo's 1935 Indianapolis 500 victory. He was a successful NASCAR team owner from 1955 to 1957. His drivers finished second, third, and second in the final points standings. The drivers accumulated 21 wins and 109 Top 10 finishes in 178 starts. The team later became Holman Moody. He was inducted in the National Sprint Car Hall of Fame in 1995. He wrote his biography in the book Wall Smacker, published in 1935. In the book he wrote that racing on a board track was "a great sensation, tearing around a board speedway dodging holes and flying timber." DePaolo was an Associate Editor at Speed Age magazine when he wrote an eight-part series "I Drove The Boards" from July 1951 through August 1952. Wikimedia Commons has media related to Pete DePaolo.